Nike Women's Jersey Just $11.99! Down From $45! Shipped! 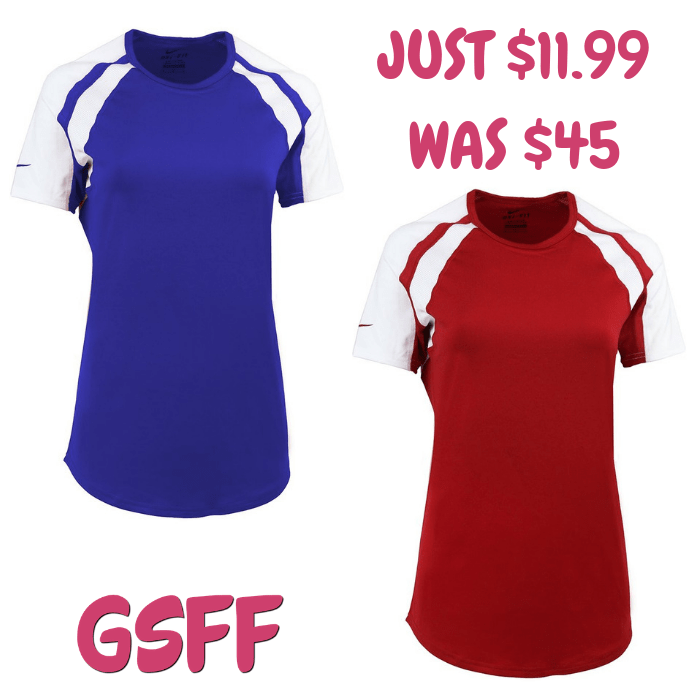 You are here: Home / Great Deals / Nike Women’s Jersey Just $11.99! Down From $45! Shipped! Nike Women’s Jersey Just $11.99! Down From $45! Shipped! Proozy is now offering this Nike Women’s Jersey for just $11.99 down from $45 PLUS FREE shipping! Dri-FIT fabric to wick away sweat and help keep you dry and comfortable. The Nike Court Warrior Volleyball Jersey is a must. This Nike Court Warrior Volleyball Jersey is a fierce find for your active lifestyle. Mesh panels under arms for strategic ventilation.